Earlier this month, Apple released its long-awaited Smart Battery Cases for the iPhone XS, XS Max and XR. However, it appears they are not working as intended. Some users claim that instead of boosting the battery, the smart battery cases are actually draining it. 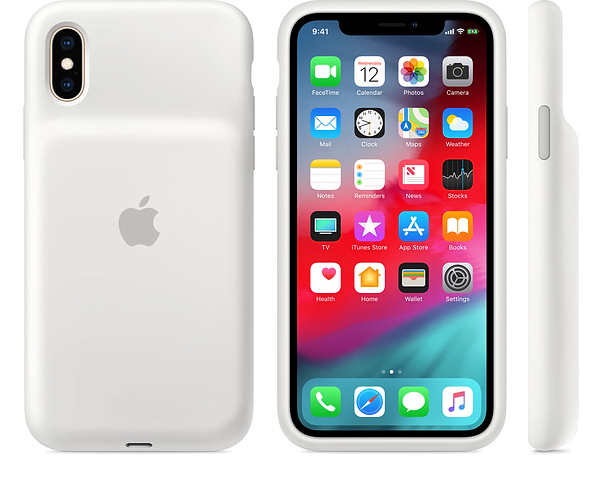 Apple’s latest iPhones already offer improved battery performance, and to boost it further, the company launched its own branded Smart Battery Cases earlier this month. The cases cost $129, irrespective of the model you buy it for. The best thing about them is that they also support wireless charging via the Qi wireless charging standard. The cases have been available for about two weeks now, and the initial reviews were positive. However, some users are now reporting a serious issue with them. Some early adopters claim they have been seeing a drop in their iPhone’s maximum battery capacity since they started using them. The person also said in his tweet that the iPhone XS’ maximum battery capacity dropped from 98% to 94% within days of using the case. “Never had this bad decreasing,” they said. Although Ritchie replied that he is not experiencing the issue yet, Twitter user Ricardo Cañedo chimed in, claiming that he noticed a similar drop in the maximum battery capacity after he started using the case. He also said he is already seeing some “peeling” on the case, so he plans to return it. As of now, it is not known how widespread the issue is because there have been only a few verifiable complaints. This seems to suggest that it might not be a big issue, but still, if you are spending $129 on an Apple-branded accessory, you have every right to expect it to work flawlessly. Apple’s Smart Battery Cases can malfunction because they are also electronic devices powered by software. Thus, other iPhone owners who have bought these Smart Battery Cases are also advised to track their iPhone’s maximum battery capacity. It’s possible more users will also notice that the battery in their still-relatively-new device is already degrading. To check the battery capacity, go to Settings > Battery > Battery Health. Apple’s new Smart Battery Cases are not much different from the previous models. The new cases also come with the usual “bump” that hides the built-in battery. Like the earlier Apple-branded Smart Battery Cases, the new ones offer an intelligent battery indicator on the lock screen and in the Notification Center. However, Apple’s new Smart Battery Cases come with support for wireless charging via the Qi charging standard. They are the first cases from Apple to come with Qi support. The new cases also support Lightning accessories, like the Lightning Digital AV Adapter and EarPods with Lightning connectors. Apple last released a Smart Battery Case for the iPhone 7. There were no such cases for the iPhone 8 or iPhone X, possibly because Apple was working on adding the wireless charging feature. This is also the first time Apple has released a Smart Battery Case for its larger iPhone models. Apple claims the case provides the iPhone XR with up to 27 hours of video playback, up to 22 hours of internet use, or up to 39 hours of talk time. The case supposedly offers the iPhone XS 25 hours of video playback, up to 21 hours of internet use, or up to 33 hours of talk time. The XS Max is supposed to get up to 25 hours of video playback, up to 20 hours of internet use, or up to 37 hours of talk time with the new Smart Battery Case. In addition to the enhanced battery life, Apple claims its new cases offer more protection. “Inside, a soft microfiber lining helps protect your iPhone. And on the outside, the silky, soft-touch finish of the silicone exterior feels great in your hand. A soft elastomer hinge design makes it easy to put the case on and take it off,” the description of the case on Apple’s website states.